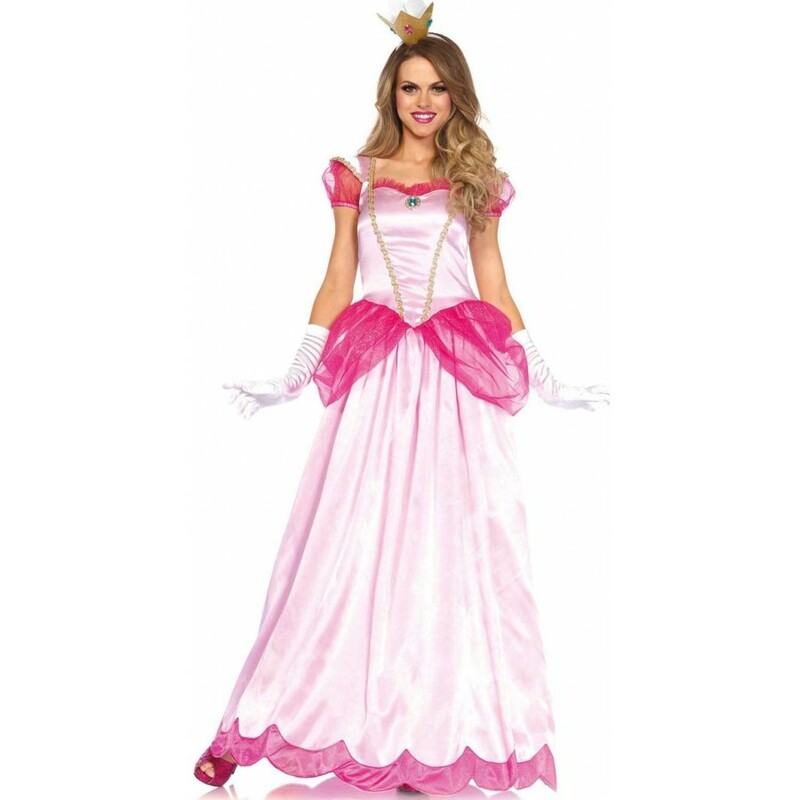 Classic Pink Princess gown costume from Mario Brothers is a Halloween classic too. Long Pink Princess womens gown in 2 shades of pink has a scalloped hem, sheer sleeves and peplum with gold braid trim. Comes with the matching crown headband. Item Number: LA-c85461 | Approximate Size (Inches): 10.00 wide x 2.00 deep x 14.00 high | Approximate Shipping Weight: 2.00 lbs. These extra long Opera gloves come over the elbow to about mid upper arm. Stretch sa.. Essential for period costumes, this long white petticoat has integrated poly carbonate fle..